Home » What is Outdoor Reset? Outdoor reset is an energy saving heating concept that has been tested and approved by many governement agencies as the best way to save on fuel. Users of outdoor reset controls when used with certain boilers may qualify for some tax incentives and rebates. When a building is heated using a hot water boiler, the boiler will run to maintain a set water temperature year round (normally between 160°F and 200°F) regardless of the outside weather conditions. This will cause occupants to feel much warmer during the Spring and Fall. However, the space temperature during the cold winter will be less warm. This is the result of faster energy escape in colder weather Outdoor Reset Energy Savings. Outdoor Reset controls respond to changes in weather by changing the boiler water temperature circulating throughout the building. It sends out cooler water to the system during the warmer outdoor temperatures. And sends warmer water to the building in cooler outdoor temperatures. What the outdoor reset does, is regulate the amount of energy entering the building based on the outdoor temperature by changing the boiler water temperature. This will provide almost perfect equilibrium where the energy entering the building is equivalent to the energy escaping. The result is a steady indoor temperature across the year and significant saving on fuel. Several government and energy agencies recognize that the use of outdoor reset can average a saving of 15% or more. A major factor in favor of outdoor reset is energy savings. 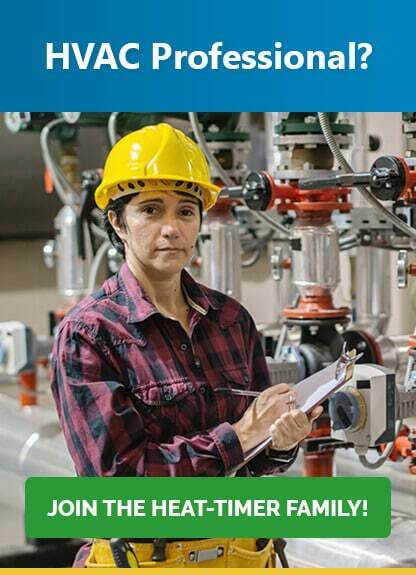 For every 4°F the boiler water is reduced, there is a 1% energy savings. Thus, if the boiler was run based on a fixed set point of 180°F vs. running the boiler using outdoor reset at 120°F will provide a minimum saving of 15%. Now, if the boiler was a condensing boiler and was able to lower its temperature below 120°F, the savings will increase. When a building is being heated, heat escapes through the walls, doors, and windows to the colder outside air. The colder the outside temperature, the more heat escapes. If you can input heat into the building at the same rate that it is lost out of the building, then the building temperature will remain constant. The Reset Ratio is an adjustment that lets you achieve this equilibrium between heat input and heat loss. Outdoor Reset Ratios. The starting point for most systems is the 1.00 (OD):1.00 (SYS) (Outdoor Temperature : Heating Water Temperature) ratio. This means that for every degree the outdoor temperature drops, the temperature of the heating water will increase one degree. The starting point of the curves is adjustable, but comes factory selected at 70°F Outdoor Temperature and 100°F Water Temperature. For example with a 1.00 (OD):1.00 (SYS) ratio, if the outdoor temperature is 50°F, this means the temperature has fallen 20° from the starting point of 70°F. Therefore, the heating water temperature will increase 20° to 120°F. Each building has different heat loss characteristics. A very well insulated building will not lose much heat to the outside air, and may need a Reset Ratio of 2.00 (OD):1.00 (SYS) (Outdoor : Water). This means the outdoor temperature would have to drop 2 degrees to increase the water temperature 1 degree. On the other hand, a poorly insulated building with insufficient radiation may need a Reset Ratio of 1.00 (OD):2.00 (SYS). This means that for each degree the outdoor temperature drops the water temperature will increase 2 degrees. The Multi-MOD has a full range of Reset Ratios to match any buildings heat loss characteristics. A heating curve that relies not only on Outdoor temperature but also on type of radiation will improve heat comfort. The following are suggested initial settings for different types of radiation based on average building insulation and heat loss. The contractor can fine tune these adjustments based on the specific building need. Does Outdoor reset require a condensing boiler? This is one of the myths that has been proven false over the years. Outdoor reset can be used with non-condensing boilers as well as condensing. When used with a non-condensing boiler, it will save the owner from replacing his boiler sooner. The only limitation would be the minimum water temperature required by his old clunker. And even with an old clunker, the installation of a 3-way motorized mixing valve and connecting it to the outdoor reset control can further regulate the water temperature in the building loop while maintaining the minimum water temperature of the boiler. Can Outdoor reset be used with low temperature in-floor radiation? Outdoor can be used with any building hot water heating system. In-floor radiation requires lower water temperature than some of the boiler’s minimum return requirements. In these installations, the outdoor reset can be used with a 3-way motorized valve to regulate the temperature of the in-floor radiant loop while maintaining the boiler minimum return at safe levels. Can Outdoor reset be used with domestic hot water? When a single boiler is used to provide and domestic hot water, the boiler must be sized for the larger capacity of the two loads. The boiler will either have a coil to heat the domestic water or pump its boiler water through an indirect tank ( a tank with an internal coil). In either case the control used should have the capability of stopping the heating pumps and starting the domestic hot water pump. This is called Domestic Hot Water Priority. Domestic hot water priority is useful in reducing the boiler size dramatically. Since a domestic hot water calls last for short periods and the heating the building is a slow process, then turning off the heat to the building during domestic hot water calls should not reduce the space temperature.